Cost: Fee: $25 general public; 20% discount for Gardens' members. Parking fees apply. 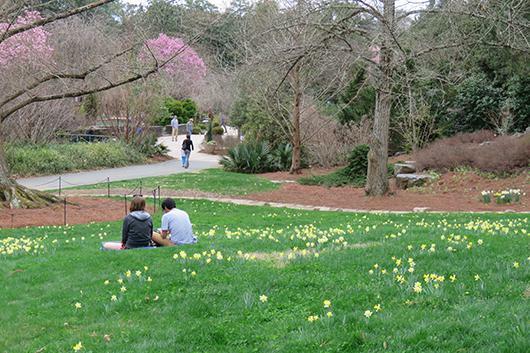 Replenish and rejuvenate yourself with a meditative walk through Duke Gardens led by Betsy Dessauer from Mindful Anytime. We will walk with intention, employing elements of mindfulness meditation and our senses to engage in the present moment. This walk will help you experience the Gardens more fully and release stress so you emerge feeling calmer and refreshed. Location: meet at the Doris Duke Center. Participant limit: 12.